We thought inside the box for this color-coded tour of Utah County. Using the palette of the standard 24-pack of Crayola crayons, we collected 24 short but colorful stories about favorite foods, playful places and interesting icons, all brightly hued and happy to be a part of Utah Valley’s mural. Flip through this kaleidoscopic collection and discover sparkling gems of Utah Valley’s crayon box. 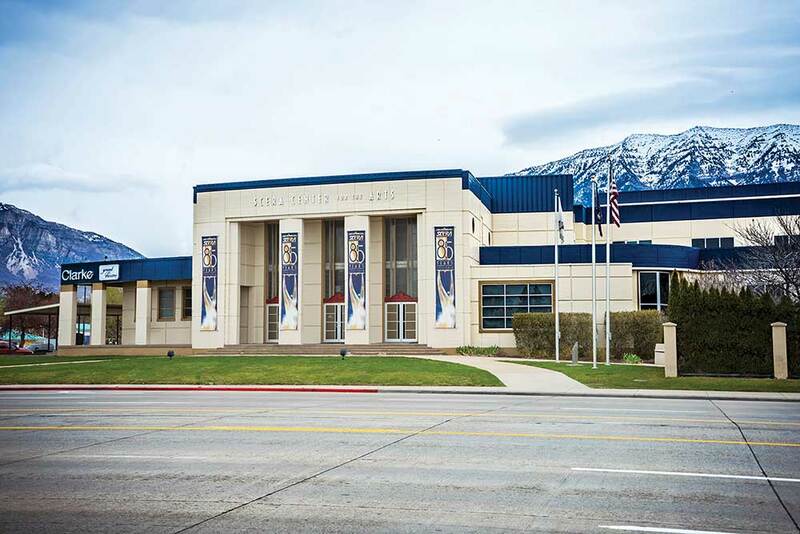 This building of sky blue — known to Crayola as cerulean — is home to the first fish spa in Provo. In summer 2017, high school pals Jameson Tanner, Porter Willis and Will Wright traveled to Jameson’s LDS mission area of Thailand. 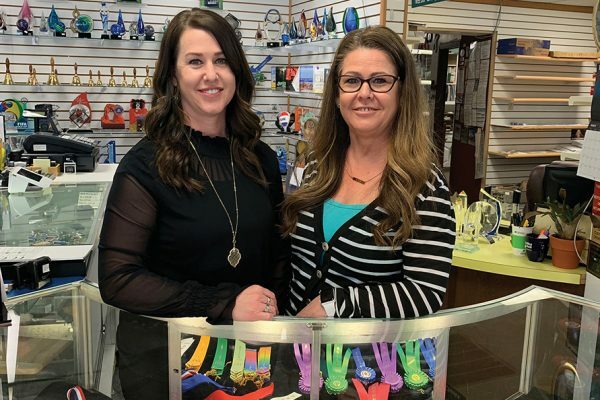 They tried fish pedicures at a night market, which sparked a business plan. 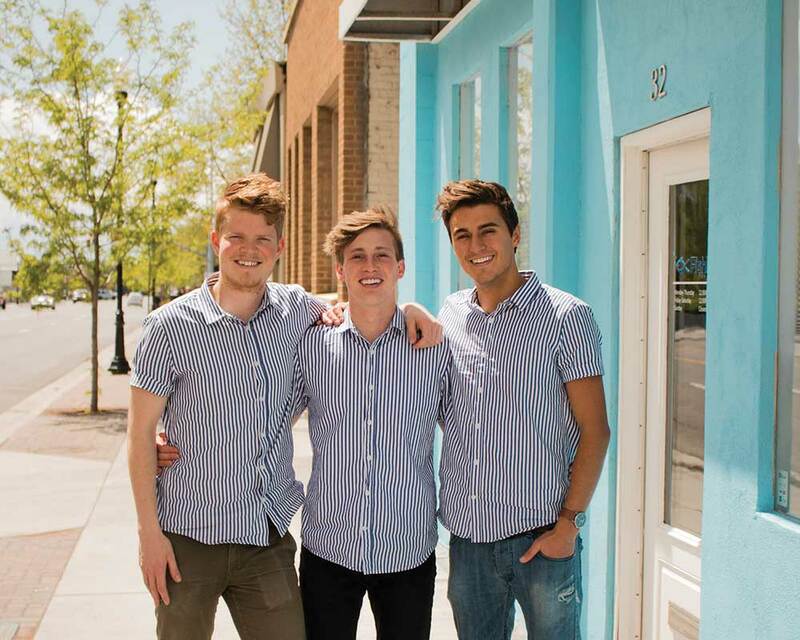 The day they returned to Utah, the three entrepreneurs met with a business counselor, determined to bring fish pedicures to Utah Valley. Almost exactly a year later, they opened FishKiss Fish Spa in downtown Provo, complete with five tanks filled with 180 garra rufa fish in each tank. For Jess Smart Smiley, going green on the Columbia Lane Mural meant a couple of things: honoring the greenery of his hometown of Provo, continuing to experiment with the “Halloween green” from his first published graphic novel called “Upside Down: A Vampire Tale” and offering a nod to his alma mater UVU. The Columbia Lane Tunnel Mural is one of several murals in the downtown Provo area. 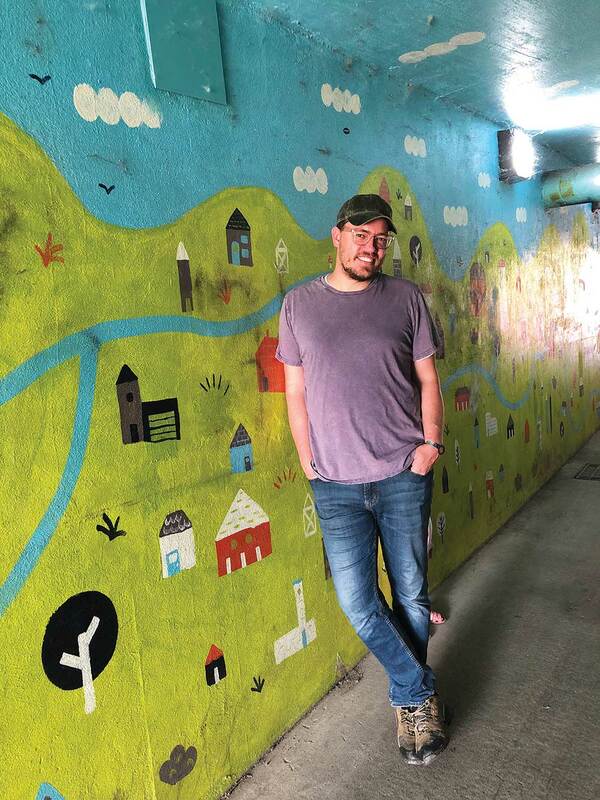 By turning the tunnel below Columbia Lane along the Provo River Parkway into a street art gallery, Provo Police Department hoped to discourage graffiti and other petty crimes in the area. In 1927, Builders Steel and Iron Co. from Salt Lake City used burros to haul building supplies to the top of Utah Valley’s giant icon and build this hut. The structure originally had glass windows — inspiring the nickname “the glass house” — but harsh mountain winds destroyed the glass and rendered the metal a weather-beaten gray. 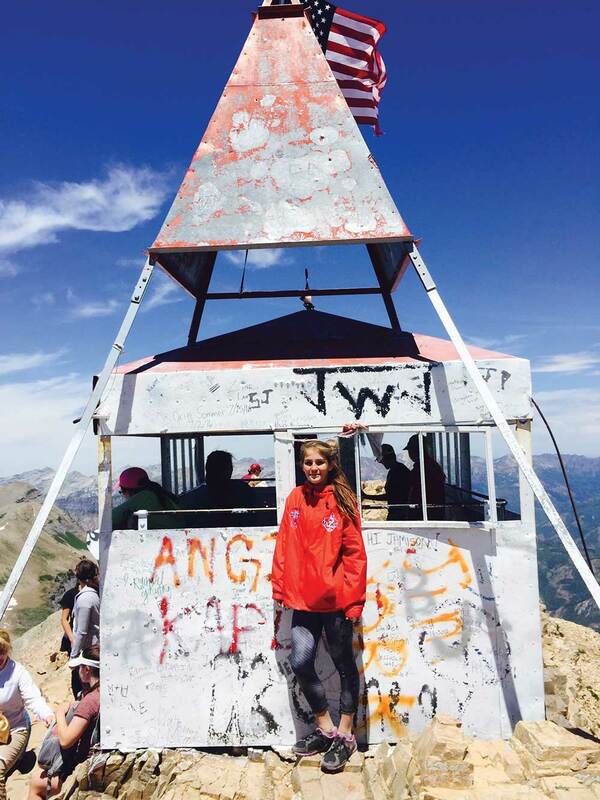 Now the shack stands almost 100 later as the goal for hikers looking to conquer Mount Timpanogos and sign its walls and visitors book. The oldest tree in Utah is also the only specimen of its kind. In 1927, a nursery owner in Ogden gifted a sapling of his own creation to Moroni Wilford Christopherson who was collecting plants for the Provo city grounds. 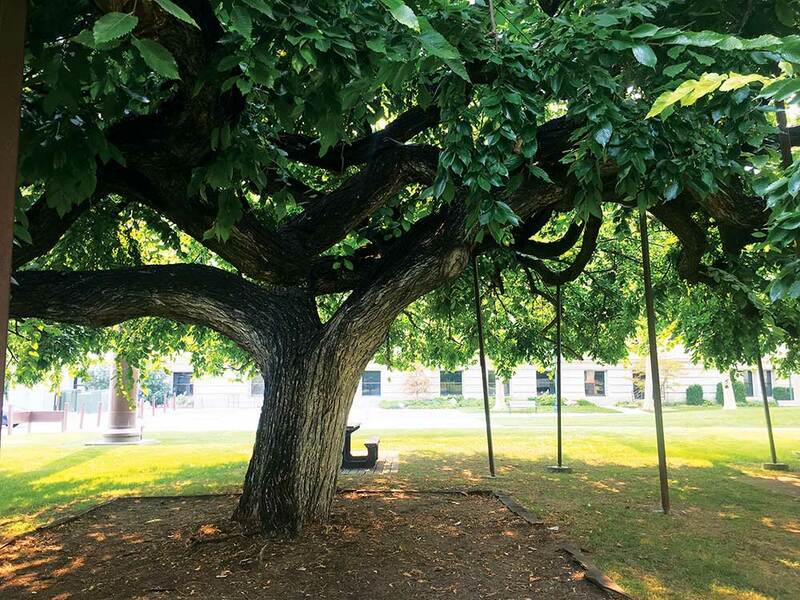 The nursery owner created the tree from grafting other saplings together and would visit his creation on the courthouse grounds. Since, the tree has never reproduced an identical specimen through natural reproduction or cloning. Today, the Weeping American Elm flourishes behind the Utah County Courthouse. Brown beams support the low-hanging branches and picnic tables sit beneath the tree for people to enjoy the shade of a 91-year-old tree. 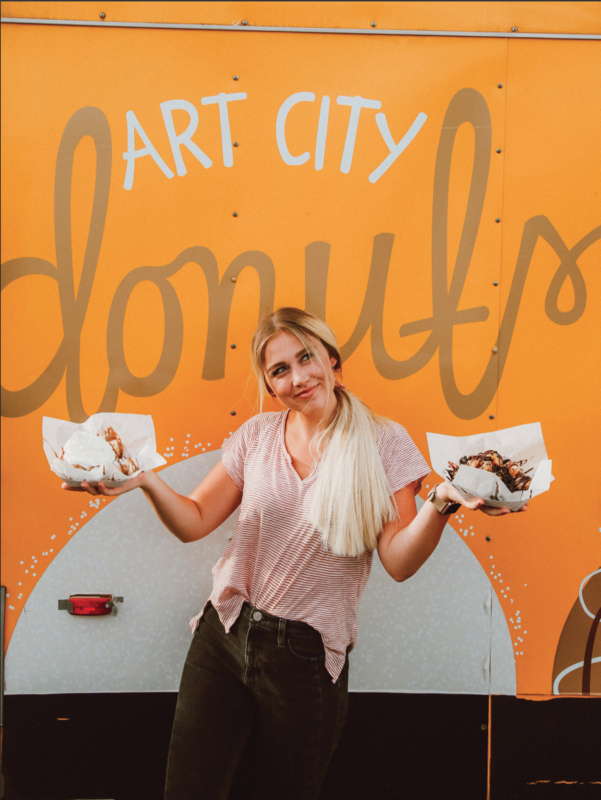 From 2014 when Art City Donuts first put its food truck into gear — sporting a trendy and recognizable yellow orange hue — to now, Art City Donuts has produced 1,850,000 mini donuts from their machine and created 17 gourmet flavors. The truck’s team mainly uses Instagram to keep their 14,500 followers informed of where their two donut-mobiles will be trucking each evening around both Utah and Salt Lake Counties. Students of the Culinary Arts Institute of UVU don white aprons and toques when they head to class in the kitchen. This kitchen crew has cooked up some national champions. At the 2018 American Culinary Federation National Convention, UVU professor Todd Leonard was named the 2018 National Chef of the Year and Utahna Warren, a senior at the Culinary Arts Institute, became one of the four finalists for Student Chef of the Year. 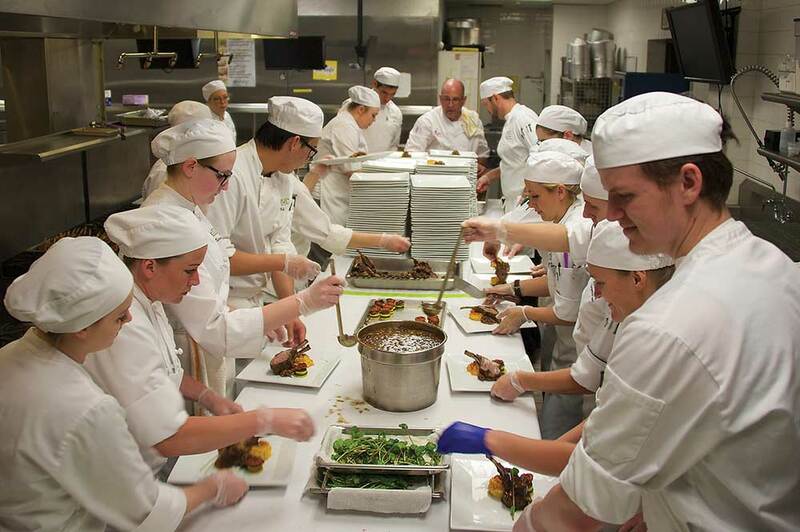 Students of the Culinary Arts Institute also prepare the food and provide the service for many events throughout the year, including UVU’s annual Presidential Scholarship Ball. 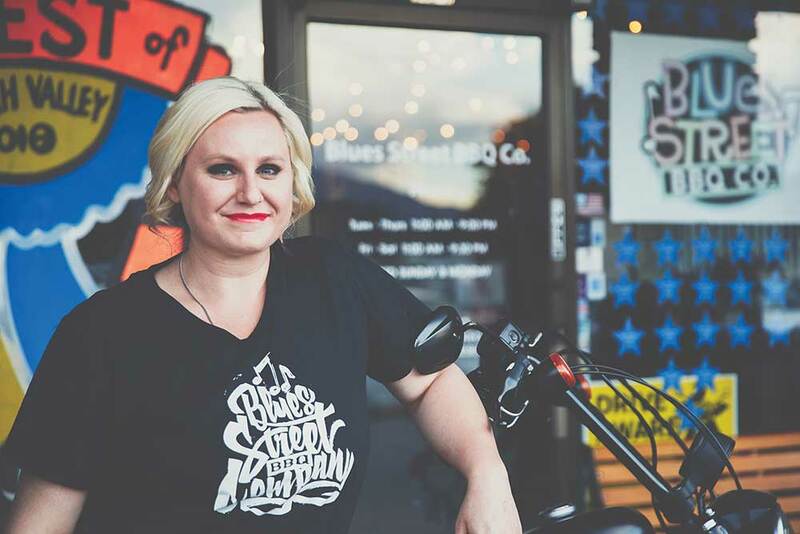 Singin’ the Blues: Blues Street BBQ Co.
Blues Street BBQ Co. — a Memphis-inspired American Fork barbecue restaurant — reopened in August (compliments of a fire incident that left local barbecue lovers blue). Blues Street serves original house recipes from barbecue favorites like pulled pork and ribs to some original creations like hog heaven fries. Last year owner Sarah Epperson added a stage to the front of the restaurant for local musicians to provide live entertainment for guests. Music genres of choice? Acoustic country, bluegrass and blues. 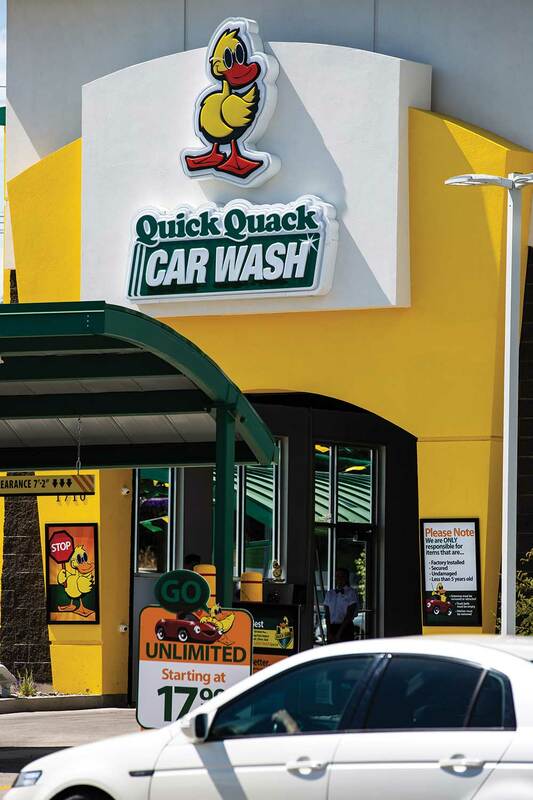 Each time Quick Quack opens a new location, they host 10 days of free car washes, so Utah drivers can experience the new location at no charge. Yellow ducky, you’re the one. You make a car wash lots of fun! Patrons of Fox Hollow Golf Course can rent GolfBoards and enjoy the green from a surfer’s view. Formerly known as Tri City Golf Course, this American Fork facility has a lighted driving range that used to be a horse track. 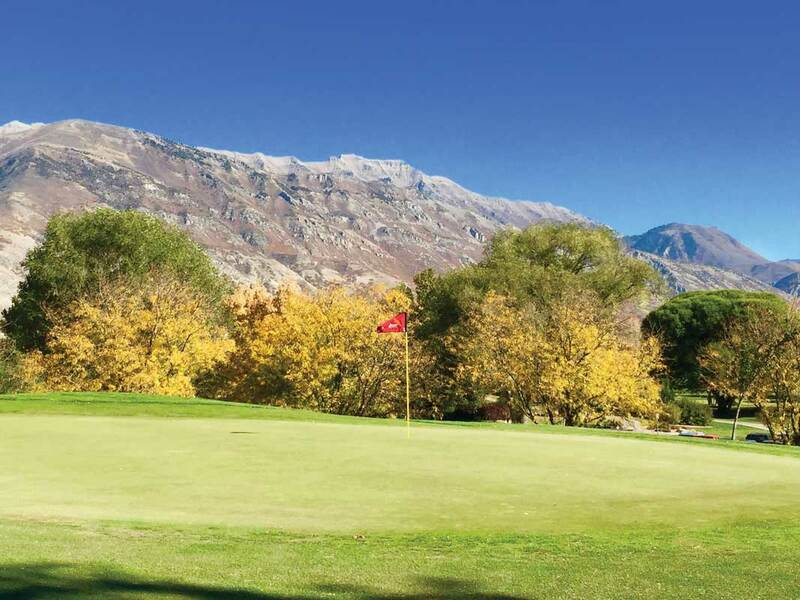 With more than 10 golf courses in Utah Valley alone and more up Provo Canyon in Park City, Heber and Midway, spending the day on the green is a favorite pastime for Utah Valley locals and visitors alike. 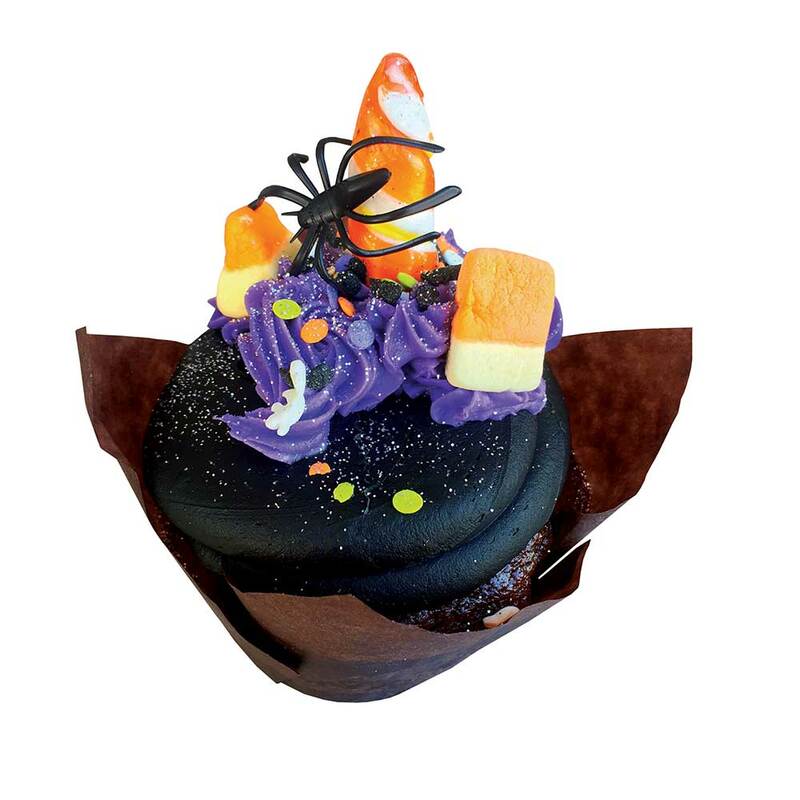 For the Halloween season, Cravings Alisha’s Cupcakes creates black unicorn cupcakes made from chocolate cake with a chocolate frosting and a fondant topper — a chocolate combination to hold your horses. This Pleasant Grove Cupcake Wars champion usually sells 20 flavors of cupcakes, nine of which switch out seasonally. Coming in November, which is Cravings’ six-year anniversary, owner Alisha Nuttall will star in a reality TV series to be aired on the Cooking Channel and the Food Network. In September 2017 Crayola introduced Bluetiful as the newest addition to the crayon box to replace the retired shade of dandelion. Bluetiful’s deep and rich color looks similar to the most famous blue of Utah Valley: BYU blue. 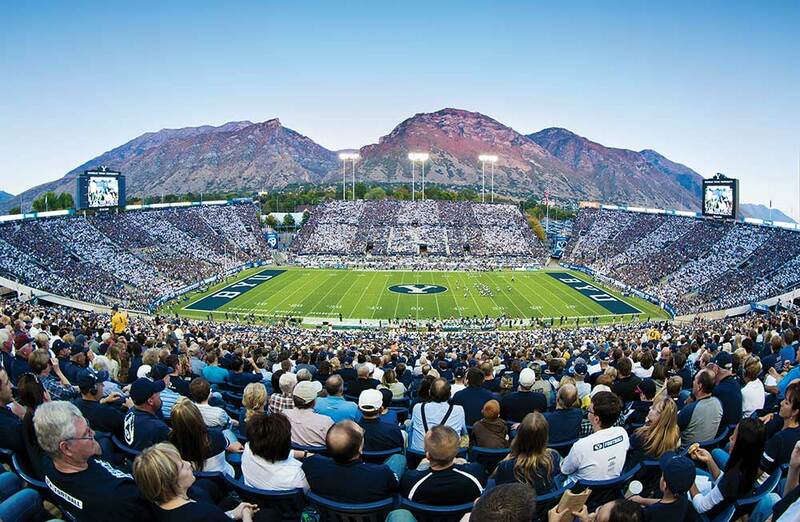 Painting the turf of the LaVell Edwards Stadium for each BYU home football game takes 60 gallons of white paint, 8-10 gallons of blue paint, two and a half days, and 60 man hours. P.S. If you’re questioning if the turf blue matches the newly created Crayola color of bluetiful, check again each week. The tint of the turf may appear different for every game depending on the lighting, weather, paint-to-water ratio and camera angle. It’s back to school this fall for the 141,000 students attending the 181 public high schools in Utah County. And 1,400 of those students claim one of these blue green lockers at Timpanogos High School. 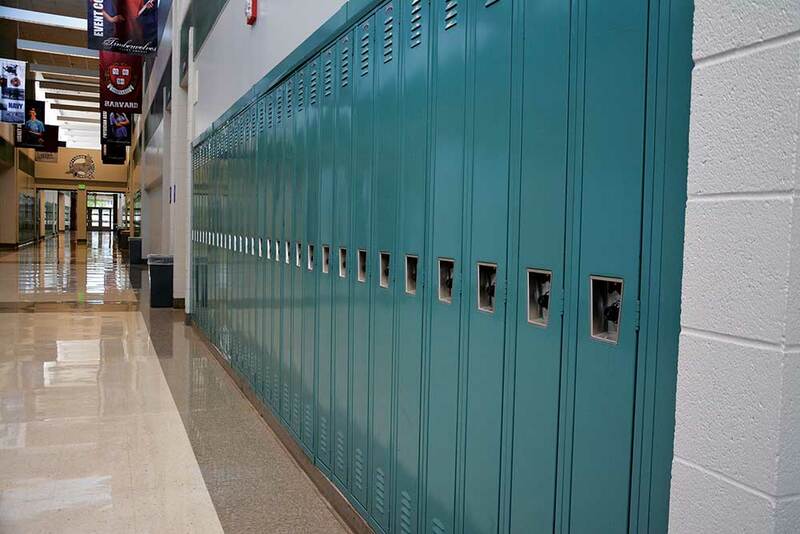 Lockers keep students’ belongs safe, while a new camera system, installed over the summer at Timpanogos, improves security for students and faculty as well. Since it opened 85 years ago, SCERA Center for the Arts and its sister stage the SCERA Shell has produced 377 musicals and 630 concerts, with more than 3,500 cumulative performances. Local talent create the cast for the musicals, making these productions a homegrown collection of talent. This Orem box office is also home to the Orem Heritage Museum and dozens of youth arts classes, all happening under one indigo roof. 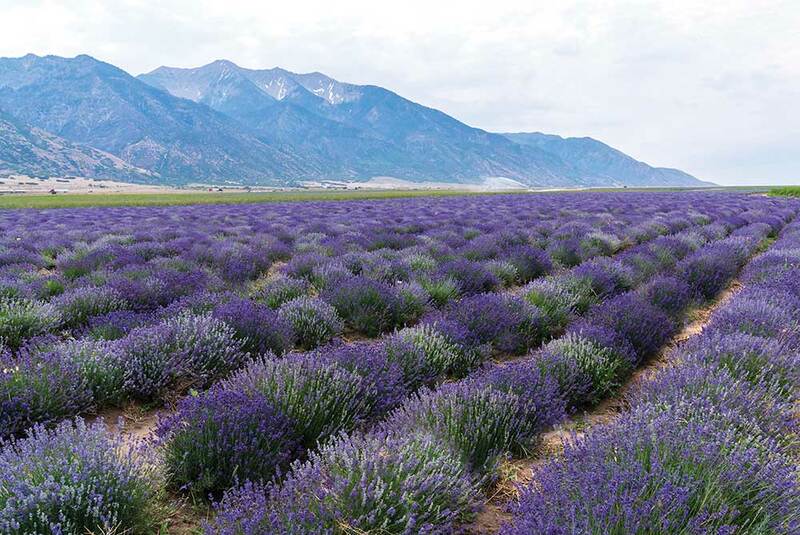 The lavender fields in Mona create a dreamy scene of blue violet to the west of I-15. Year round, people visit the Young Living Essential Oils Lavender Farm to learn more about the distillery process and enjoy some country fun. Lavender grown on the farm is used to create the Young Living Essential Oils products sold around the world. The blue violet fields of dreams have also become a popular destination for wedding events and photography. Purple Turtle has been known for being the ideal location for soulmate spotting. 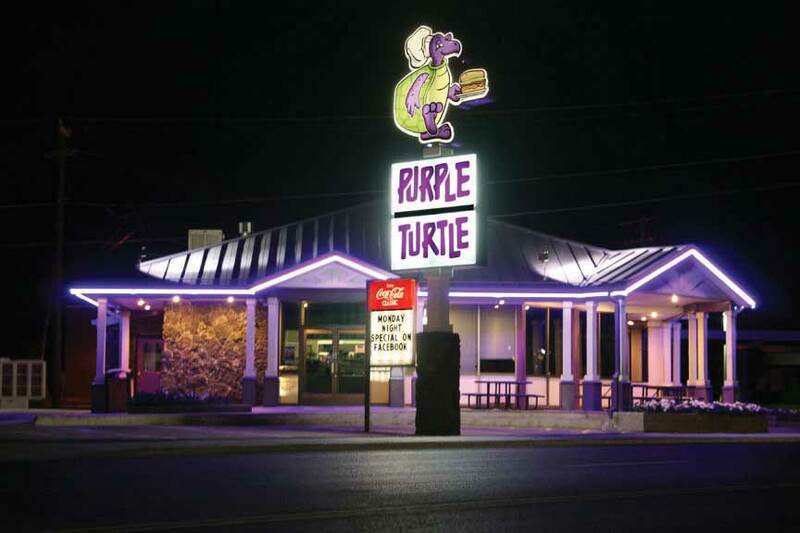 Many Purple Turtle customers — even the current owners Andrew Wilkins and Steve Cobbley — met their spouses on site. This Pleasant Grove icon not only satisfies the sweet tooth, offering homemade shakes, but they also serve up some of the best fish and chips in Utah Valley, with recipes perfected after 50 years of business. 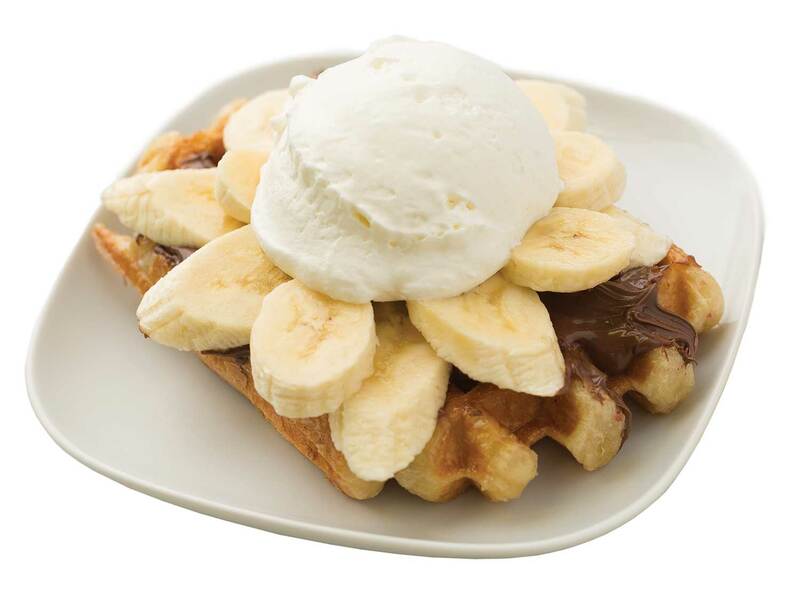 In 2011, the Waffle Love food truck rolled its way into hearts and stomachs of Utah Valley, leading several other portable cuisines and creating a food truck fad that pulled up a chair. 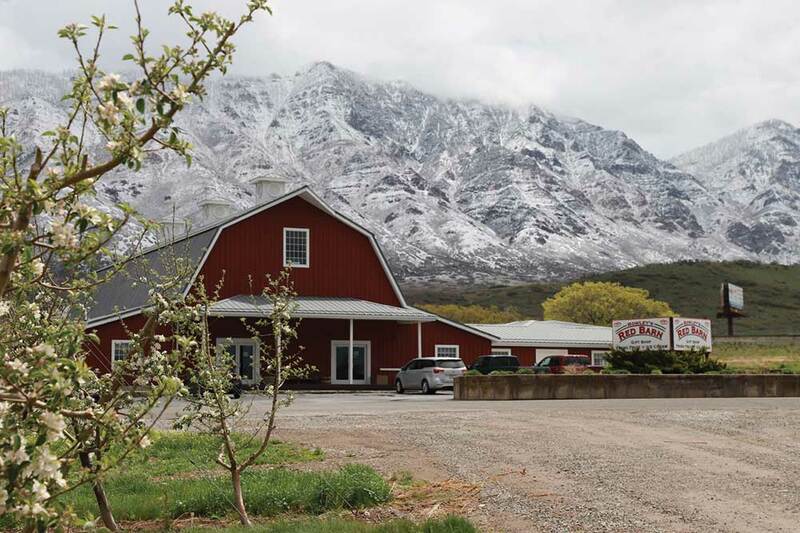 Rowley’s Red Barn paints the town red with fresh cherries, apples and apple cider for sale at the iconic red barn location in Santaquin. The fourth generation of the Rowley family runs both the farm and store front. The cherry on top? From mid-September to October, families enjoy the Rowley’s pumpkin patch and corn maze in the Back Forty. This year, their fresh cherries inspired the corn maze design. Each year, about 12 women compete for the Miss UVU tiara and sash with scarlet lettering. At last year’s pageant, Natalie Jaco — a dental hygiene junior from Lehi — won with a platform on suicide prevention and awareness. 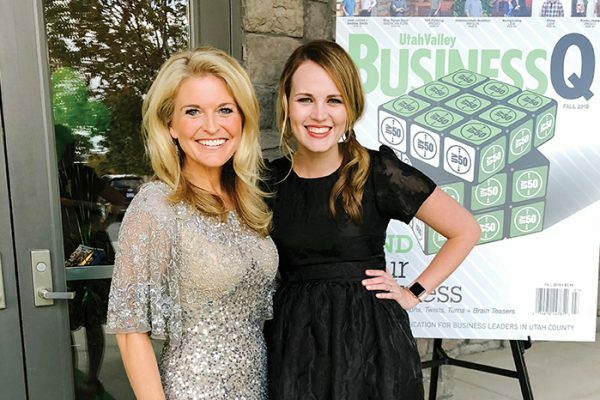 On Nov. 4, 2018, UVU will crown a new winner for 2019. 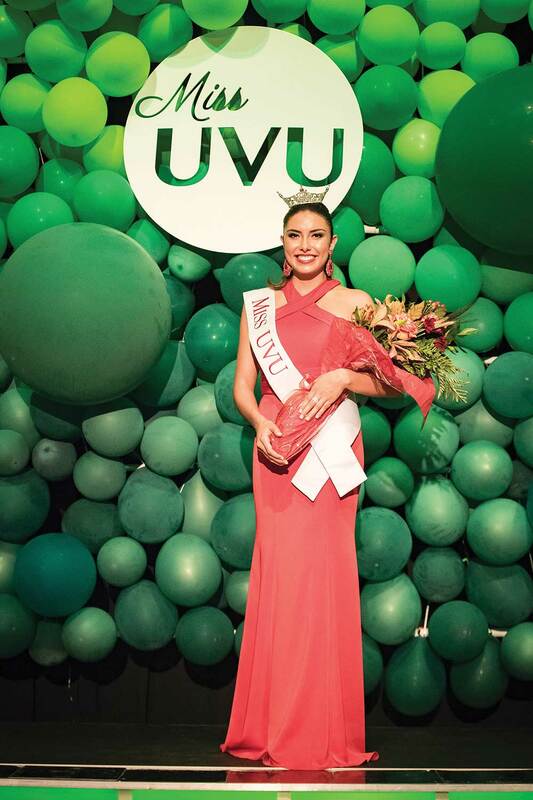 The Miss UVU Pageant has evolved along with Utah Valley University. The pageant began as Miss UTC, and continued through the UVSC days to today. 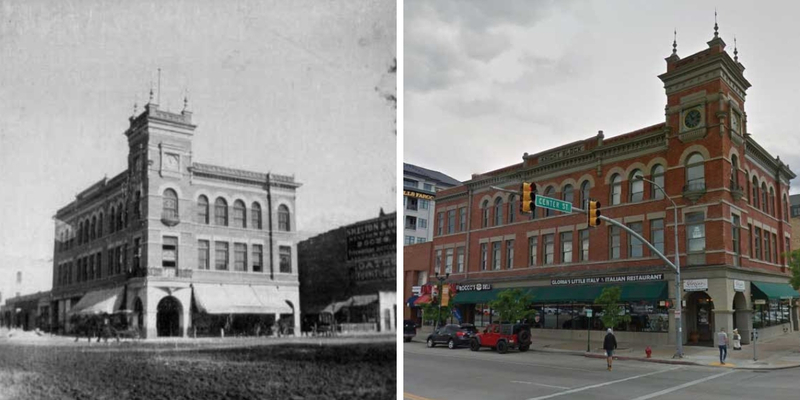 The Knight Block building, located on the corner of University Avenue and Center Street in Provo, was built with red orange bricks in 1900 for Jesse Knight’s financial headquarters. Though the Knight family no longer uses the building, the iconic corner has preserved the Knight name for more than 100 years. Currently, the Knight building is home to Good Move Cafe. Orange is the color of fall, Halloween, and Provo’s Haunted Half and 5K. Utah Valley has a robust running culture — one strong enough to support several annual races throughout the year. 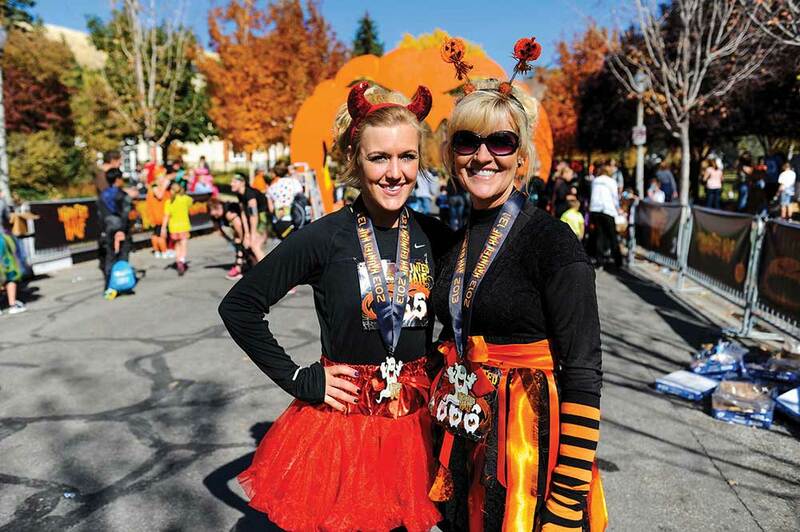 This year’s Haunted Half will spook out on Oct. 27, and orange you glad you get you wear your Halloween costume down Provo Canyon? When Derek Maxfield and his sister Melanie Huscroft launched Younique in 2012, they brought with them business experience and passion. They also had a purpose: They wanted to do something about the unfair, maddening statistic that one in four adult women was sexually abused as a child. 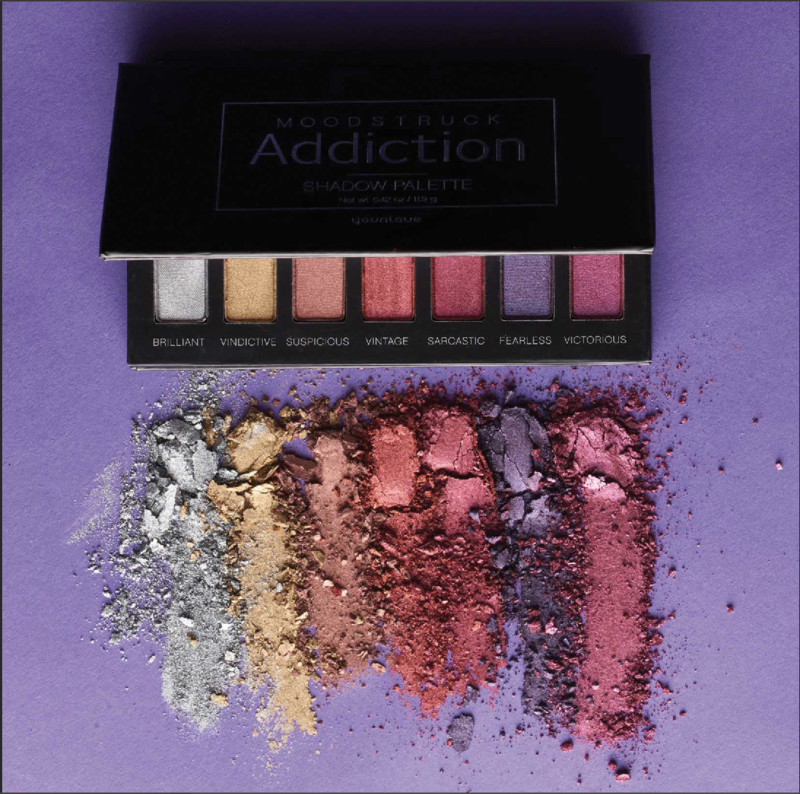 And now they are growing two sister entities: Younique as a direct sales makeup company and the Younique Foundation, which has hosted more than 2,000 women in retreats and follow-up care to combat the effects of their childhood abuse. The combination of passions is working. 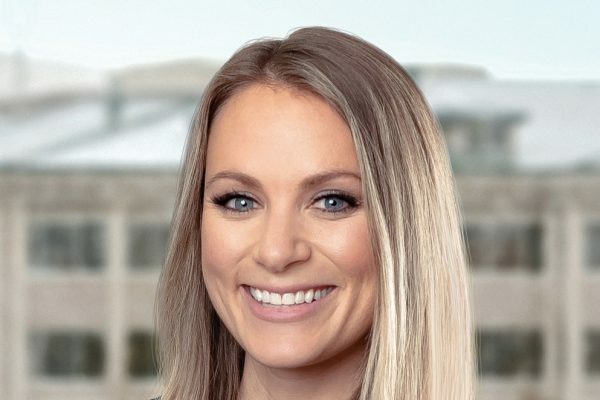 The company has more than 1 million presenters around the world, and the company has been named the fastest-growing company in the valley two years in a row by our sister publication, BusinessQ Magazine. When Thanksgiving Point opened the Gardens in 2000, the community began flocking to the blossomed pathways. Eighteen years later, there are a million reasons to head to the Point of the Mountain. 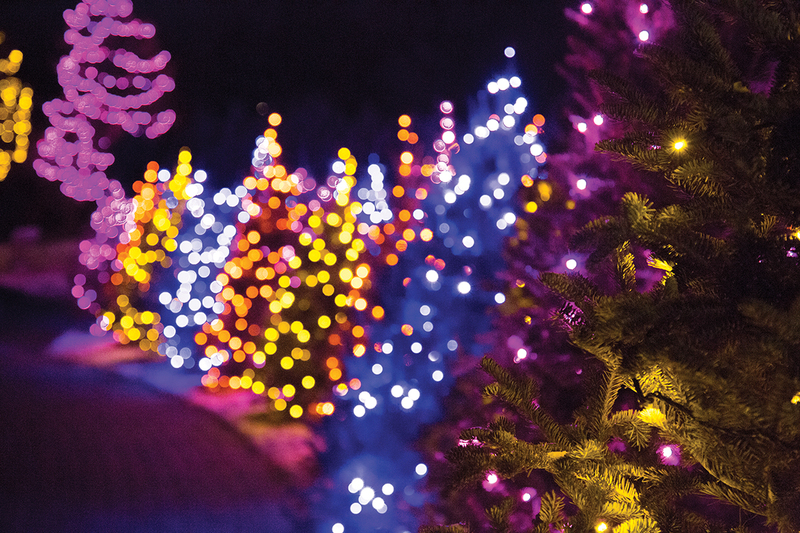 This Christmas will mark the third Luminaria, where bundled attendees see ginormous numbers of holiday bulbs arranged in “beats” around the gardens with accompanying music. During spring, this same setting gives way to the annual Tulip Festival, which started under a blanket of snow in Spring 2018. Each day, Crumbl Cookies uses 2,000 pounds of chocolate chips to satisfy the midnight cookie cravings of Utah sweetoothes. 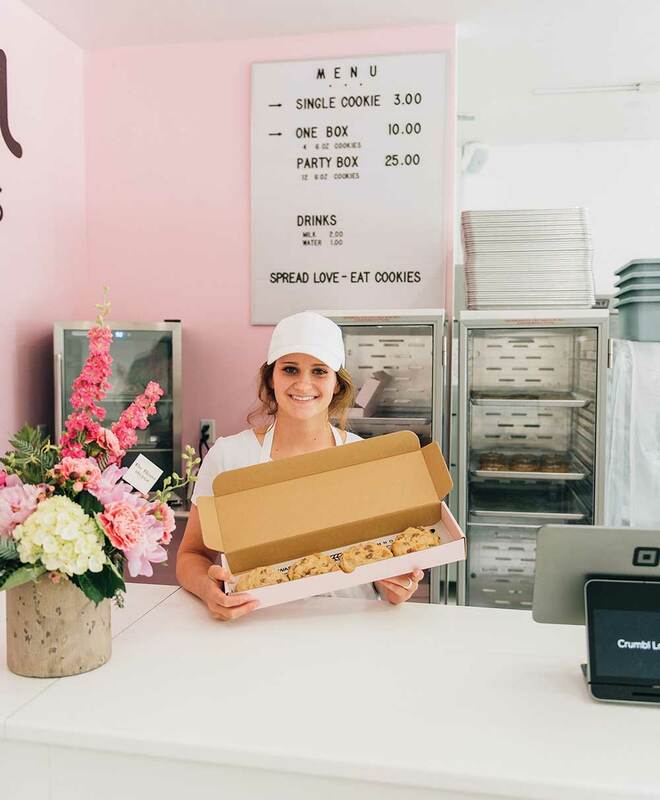 This evening cookie delivery service opened its first location in Logan in early 2018, and in eight short months it has expanded to ten locations (four in Utah Valley) and more than 200 employees. 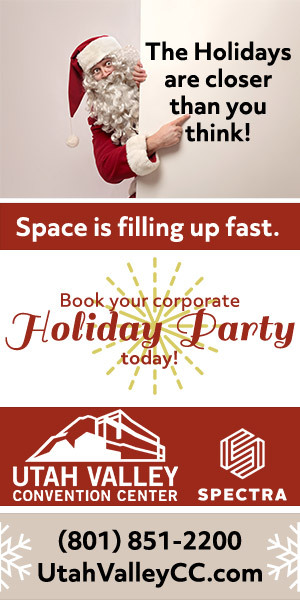 The busiest day of the year? National Cookie Day. To create the pastel hue of their walls and packaging, Crumbl customized their own pantone color called Crumbl Pink that’s not far from carnation pink of Crayola. In an area known for artists, it takes a brush with luck and a large stroke of talent to stand out. 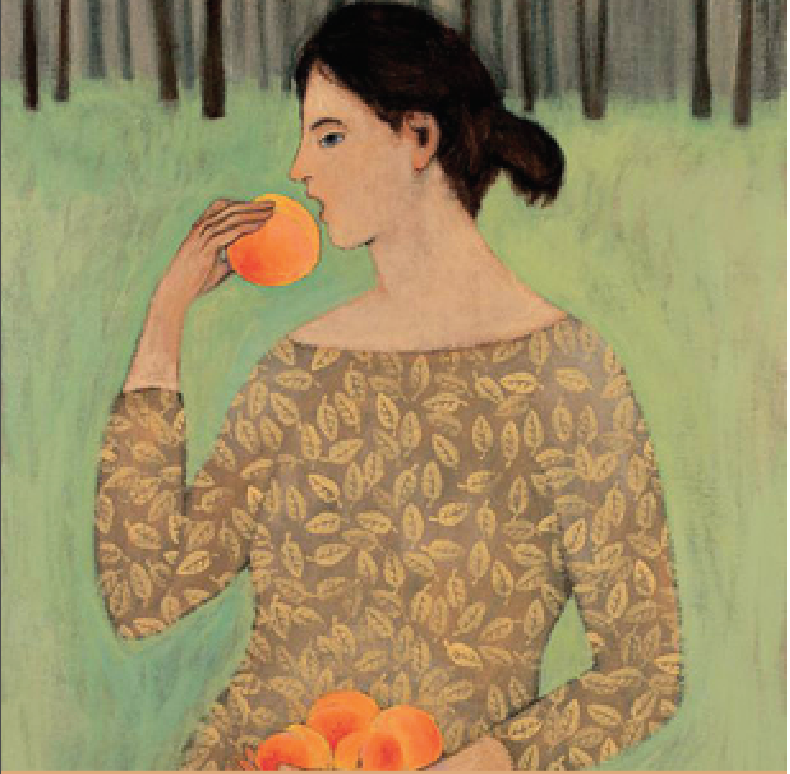 Provo’s Brian Kershisnik details the human experience in fleshy apricot hues with simple form yet complex interpretations. Local restaurants like Magleby’s and Pizzeria 712 hang his paintings to create a thoughtful ambiance. In October, Brian’s book “Looking For Something” will be released and include more than 200 paintings. Brian’s childhood had him following his petroleum geologist father to continents around the globe where he observed the human experience before coming to Utah for his college education.